This was built in 1879 as a home for the elderly with 16 beds. In order to expand our house, the Congregation purchased adjacent lots around the turn of the 20th century. Construction of this Altersheim was completed in 1908. 80 years later we did a complete remodeling including the church and the sisters chapel. Today, the house has 160 rooms, both for single persons or for couples. We offer the elderly daily participation in the Holy Mass in the Church of the Holy Family at the center of the Altersheim. Not only can those who live in the Altersheim participate in the celebration of liturgy, but also those who live in the neighborhood. 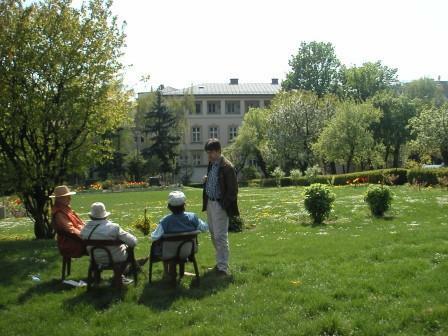 A big garden invites people to walk and meet others. In Marienheim, one finds the elder Borromean Sisters. This is a good place to rest, and in the last stages of their lives, rich with experience, they are attended to and cared for. The elder sisters and those who are sick continue living their mission as Sisters of the Charity of Saint Charles Borromeo, through the rich apostolate of prayer and sacrifice in their sickness and pain, offering it for the needs and concerns of humanity. Like the sun hides itself in every flower, so the face of God hides in the face of each child. Children are like fresh earth, willing to receive the seed of grace. In 1887, the Borromean Sisters began a kindergarten in a small house in Rodaun as well as a school of arts and trades. From here, the sisters also attended to the sick in their homes. 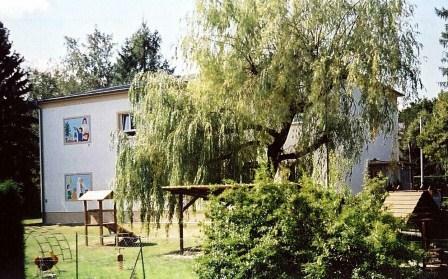 The Kindergarten was built in 1958, and in 2002 it was completely rebuilt. Since 2009, the Kindergarten of the Borromean Sisters has belonged to the Association of Catholic Kindergartens. Through the light of faith we see in the children and youth the idea of God Incarnated. He embraces them and wants them to participate eternally in His glory. It is our task to prepare them for their temporal and eternal happiness. In 1866 the government of Grieskirchen invited the Borromean sisters to take charge of a Kindergarten and a school of Arts and Trades. As time went on, this Kindergarten was adapted more and more to the development of Pedagogy. To this day, some of the sisters continue this work.